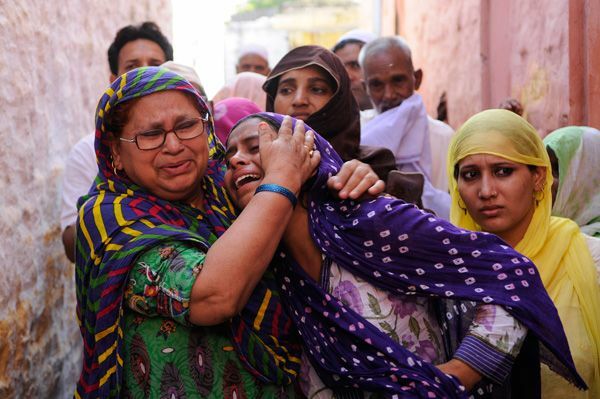 The case involves the killing of 55-year-old Mohammad Ikhlaq after he and his son Danish were attacked at their home in Bisada village, Dadri, just 60 km from Delhi, on 28 September last year, over rumours that they had slaughtered cattle and consumed beef. Danish survived the attack with serious injuries. Nineteen people have been accused in the case, of whom 18 have been arrested on charges of murder. The missing accused, Sonu, had, according to his mobile phone location at the time, been elsewhere. However the police said that this was a matter for investigation. "We cannot rule out his involvement in the case just because of the mobile phone location," said a senior police official. "We will not let any accused walk free," said Saifi. Ikhlaq' older son Sartaj is a corporal with the Indian Air Force. The family has now shifted to an IAF-provided home in Delhi.